Product prices and availability are accurate as of 2019-04-21 20:18:59 UTC and are subject to change. Any price and availability information displayed on http://www.amazon.com/ at the time of purchase will apply to the purchase of this product. 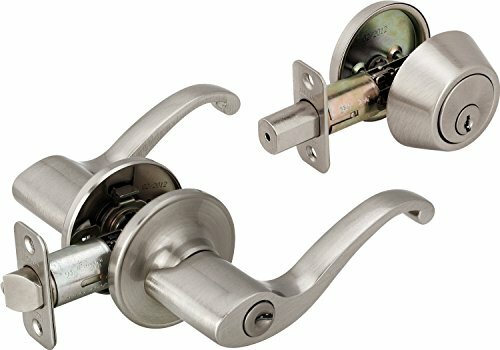 Grade 3 Features one entry leverset and one single cylinder deadbolt keyed alike Flair style lever Backset 2-3/8" or 2-3/4" latch RC adjustable Radius corner strike Lever handle reverses to fit right or left handed doors, non-handed KW1 keyway Satin nickel.